Channie is a lovable teenage mage that lives a simple but magical life with her clannish community deep in the Ozark Mountains. She’s blessed with the ability to enchant those around her, charming not only her family and friends, but any boy with a pulse that doesn’t know how to shield himself against her magic. When her father’s gambling addiction earns the wrath of a powerful mage, the family is forced to flee for their lives. They escape to the suburbs of Colorado hoping to hide amongst Magically Disabled people (like you and me). Channie’s parents are overwhelmed by the modern world and panic when they catch her flirting with a group of “dirty-minded, non-magical city-boys.” They strip away her power of enchantment and replace it with a chastity curse that automatically zaps any boy foolish, or courageous, enough to pursue her. Josh Abrim — a BMX racer with a killer smile, Olympic dreams, and dangerous secrets of his own — is just that kind of boy. When he and Channie realize their interest in each other is more than just friendship, she turns to dark and forbidden magic, determined to break the curse keeping them apart. Her inexperience makes matters infinitely worse and unleashes a malevolent force with the power to destroy everything they love … including each other. Where do you find your inspiration? From my family, friends and the ‘voices in my head’. I created Channie and Josh in a writer’s workshop and fell in love with them. We all agreed they deserved a longer life than what a short story could give them. What is your favourite aspect of Enchantment? Channie and Josh’s evolving relationship — the way they grow from two selfish teens trying to satisfy their lust to a loving couple willing to sacrifice everything, even their lives, for the other. Who is your favourite character from Enchantment and why? I’ve sort of fallen in love with Hunter Feenie. He didn’t even exist in the first draft of ENCHANTMENT but I needed a better opening scene so readers would realize right away they were reading a paranormal romance. I needed a boy, and it couldn’t be Josh … so Hunter was born. He has a way of slipping into your heart with his simple country charm when you least expect it. What are you working on now? I’m trying to publish the 3rd book in The Channie Series trilogy during the Summer of 2012. And, I might even surprise my fans with the first book of my new series this Spring. It is set in the remote Sawatch Mountain wilderness of Colorado and is very different from Enchantment. But, the common theme in all my books is that “True love will prevail” and this is no exception. What do you love about most about writing? Discovering the story and getting to know the characters. I used to write “by the seat of the pants” and just let the story and characters lead me where ever they wanted. Fun, but horribly inefficient. It requires multiple drafts to take a meandering plot and force it into a meaningful story. I was afraid that outlining would kill that creative flow, but it didn’t. It only moved it to a different part of the process. I can explore optional plot lines and subplots in an outline easier than I can in the middle of a 100,000 word novel. Charlotte Abel is a full time writer that lives near Boulder, Colorado with her husband Pete. 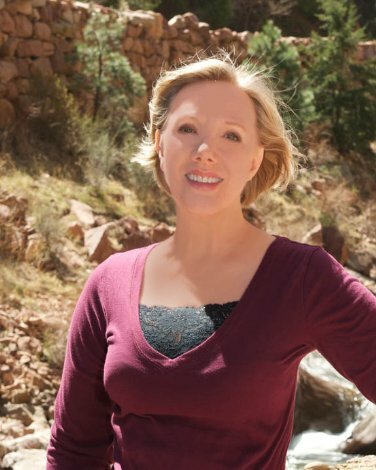 When she’s not reading or writing, she enjoys hiking, bicycling, and archery. 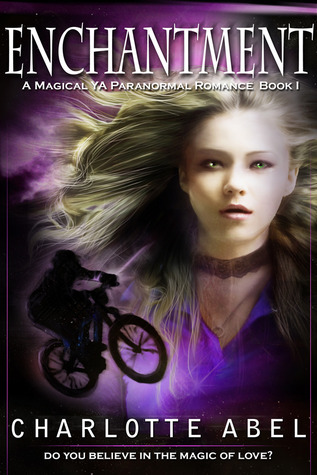 Her debut novel, “Enchantment,” Book 1 of The Channie Series is a paranormal coming of age romance. “Taken”, Book 2 of The Channie Series is the action packed sequel. The final chapter of The Channie Series will be released in the Summer of 2012. Future projects include a romantic “shifter” thriller set in the remote Sawatch Mountain wilderness of Colorado. This entry was posted in Events, May 2012 - Indie Author Event and tagged author bio, buying links, channie series, charlotte abel, enchantment, interview, paranormal romance, website, YA. Bookmark the permalink. What happened to the final installment of the Channie series? ?